Ripe olives contain 20% to 30% oil, based on variety and degree of maturity. Photo copyright Liv Friis-Larsen | IST. 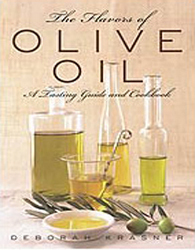 STEPHANIE ZONIS is a food writer and technologist who is pleased to add olive oil to her repertoire. It was the middle of a blisteringly hot East Coast summer, and my editorial director and I were talking on the phone about food (what else?). She mentioned she had a project I might like to take on; she’d wanted to do it herself but had too much on her plate. How did I feel about olive oil? Well, hey, I like a good olive oil as much as the next provenderphile. She wanted a big article on flavor profiles of olive oils from all over the world. Sure, I’d love to do that. It was only after beginning preliminary research that I realized what I’d let myself in for, but by then I was far too interested to stop. Olive oil’s popularity needs no introduction. I attend the Fancy Food Show in New York City every summer, where the entire specialty food industry convenes to see and taste the overwhelming majority of specialty foods available to Americans. One especially industrious (or obsessed) individual once counted the number of fine olive oils exhibited at that show. There were just over two hundred. Of course, that was a few years ago; there are many more now. Olive oils are served instead of butter with the bread in restaurants, touted as a “good” fat everywhere, and marketed in a bewildering variety. Step into any upscale emporium devoted to food, and you’ll find olive oils from half a dozen or more countries. In some places, the shopper is confronted with a veritable wall of olive oils. Ever wonder what all the fuss is about? In the United States, at least, much of the fuss is about health. In a country that has an insatiable appetite for health claims, olive oil is a current media darling. Why? It’s the primary fat in the traditional “Mediterranean” diet, a way of eating that has historically resulted in lower cholesterol levels and lower incidence of heart disease. The Food and Drug Administration says there is “limited but not conclusive evidence” that consumption of monounsaturated fat from olive oil (as well as products that contain olive oil) in place of foods containing saturated fat may lower a consumer’s risk of coronary disease, provided the total number of calories consumed is not increased. Zealand. Photo courtesy of Wayne and Maureen Startup. Just recently, in fact, it was found that olive oil contains a naturally-occurring anti-inflammatory chemical, oleocanthal, that is similar in function to a low dose of ibuprofen and may confer a range of health benefits. There are those who assert, too, that the monounsaturated fat in olive oil assists the body in producing anti-inflammatory substances that help sufferers of rheumatoid arthritis and asthma. Then there is the antioxidant aspect. Antioxidants are a huge buzzword these days, and olive oils contain quite a variety of them, especially the phenolic antioxidants and squalene. Olive oil devotees speak glowingly of their favorite fat as a protector from certain cancers (especially colon, breast, and skin cancers) and as a great skin healer. Olive oil is said to prevent premature aging due to oxidative stress; believers tout it as an aid in weight loss and the control of diabetes. What most reliable sources will agree on, however, is that olive oil is a heart-healthy fat that influences blood cholesterol by lowering low-density lipoproteins (LDLs or “bad cholesterol”), while protecting or raising the beneficial high-density lipoprotein (HDL) cholesterol. In addition, olive oil contains substantial amounts of vitamin E, a valuable antioxidant. A study published in The Journal of the National Cancer Institute revealed that eating lots of vegetables and fruits and consuming several servings of olive oil a day appears to lower the risk of developing breast cancer; but more and longer-term studies are required to definitively link olive oil as an anti-carcinogen. Health benefits aside, olive oils are also popular because they are truly delicious. Taste a spoonful of olive oil next to sunflower, grapeseed, avocado, or nut oils: many people have a strong preference for the flavor of the olive fruit. And the sheer number of olive oil varieties with their different aromas and tastes (and appearances) is staggering. There is much to taste, enjoy and choose from—as Part II of this article will reveal. That’s the good news. The bad news is that not all olive oils are created equal, and it’s not always easy to tell “the real McCoy” from imitators and wannabes. Because I now know the differences between grades of olive oil (something that wasn’t true when I started my research), this article is solely about plain, extra virgin olive oil (by “plain,” I mean nothing flavored or infused). Current U.S. standards regarding olive oil were formulated in 1948 and are outdated. After then, the industry all but died in this country and didn’t revive until relatively recently. No one anticipated this revival, and the 1948 grading system for olive oil doesn’t even recognize the term “extra virgin”. Luckily, that’s about to change. USDA standards for olive oil will soon be published; after a required comment period, they will (hopefully) be implemented. The International Olive Oil Council (IOOC) determines standards for grades of olive oil for much of the rest of the world; my understanding is that the new USDA system will be based on the IOOC standards. The California Olive Oil Council has standards that are even stricter than the IOOC’s (more on that later). There is flat-out chicanery in the industry (and hardly unique to the olive oil industry). Less scrupulous manufacturers have been known to cut more expensive olive oil with cheaper oils, such as canola or refined hazelnut oils; or manufacturers in regions famous for fine olive will import oils from lesser regions, rebottle them, then sell them as a product of their region. Such measures reduce a producer’s costs and can be extremely difficult to detect. While this may result in a significantly cheaper olive oil for the consumer, anything less than 100% olive oil also cuts the potential health benefits. On a positive note, though, olive oils sold in the U.S. must state the country or countries of origin of the oil somewhere on the label or bottle. Your most valuable ally in the often-mysterious world of olive oil is a knowledgeable specialty retailer, someone who knows about olive oil production, storage (more on that later, too), and the differences among olive oil varietals, styles and producers. A retailer specializing in olive oil should be willing to let you taste an oil before you buy it. But such stellar retailers can be hard to find. Try buying directly from a small producer if you can’t find a good local retailer. Many sell their products online. I have attempted to concentrate here on small-to-medium-sized producers, who tend to be artisans who are passionate and careful about their products. Yes, there are large producers who make good olive oils, but they don’t need my help getting their names before the public. And seeking out some of the smaller businesses gives you a chance to experience all kinds of incredible new tastes. The primary difference is acidity level. The lower the acid, the finer the oil. Extra-virgin olive oils are those with acidity levels of less than 0.8% per 100 grams. In California, the standards are more strict: at present, the maximum acidity is 0.5% per 100 grams for producers who bear the California Olive Oil Commission seal on their label. Virgin olive oils have acidity levels of .8% to 2%. The lower the acidity level, the better the oil: naturally low levels of free oleic acid indicate a lack of oxidation of the oil. *New USDA standards for olive oil should be published for comment shortly. After a 60 day comment period, the standards will either be finalized or revised. It is expected that these new standards will keep the current COOC maximum acidity level of 0.5%; other standards are expected to be similar to those issued by the IOOC. On the international front, in addition to chemical testing for acidity levels, oils are subjected to organoleptic (sensory) evaluation of aroma, flavor, and color by trained panelists. This is interesting but not heartening. Certainly, people can be trained to evaluate olive oils and look for particular characteristics, but in the long run all taste is subjective. Chemical testing at least sets objective standards. Reducing the process to a bare-bones description, the olives are harvested, sorted, and cleaned. They are then chopped or crushed and pressed. The resulting olive juice has the water removed from it; other impurities are removed via decanting or filtering. What impact does age have on color? How early or late should one harvest? Must the olives be picked by hand (yes, some still are, and some producers swear by this traditional method of harvesting), or are mechanical methods acceptable? How about the crushing—are traditional stone wheels hygienic? Is the more modern hammer mill the way to go? There are not only different opinions; there’s a lot of contradictory information out there on virtually all topics related to olive oil. The color of an olive oil has nothing to do with its quality. Color is a function of the type of olive, the maturity of the olive, and other factors. The color of olive oil. 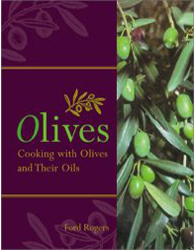 An olive oil “expert” wrote a book in which he stated that, in general, younger olives give a more green-colored oil, while more mature olives produce a yellower olive oil. In separate talks, I brought up the subject with two producers, both of whom insisted that the color of the oil is determined solely, by the cultivar(s) used in it. A third producer, Pieter Koopman of Hope’s Grove in New Zealand, says that both sources are correct. He tells me that, in his experience, olives picked early tend to yield greener-colored oils, while “late harvest olives can lose some color intensity.” But it’s also true that certain cultivars tend to produce oils of particular colors. He cites the examples of Koroneiki olives, which, he says, produce “emerald green oils” and the Barnea and Manzanilla cultivars, which produce oils that are a “deep yellow.” Following subsequent talks with other producers and importers, I believe he’s right. But it goes to show how much in the way of conflicting opinions exist in the olive oil realm. And just so we’re all on the same page here, the color of an olive oil has nothing to do with the quality of that oil. When to harvest the olives. Some olive oil knowledge is generally accepted, at least. The correct time to harvest your olives depends on the cultivar being picked, as well as the type of olive oil you want to produce. 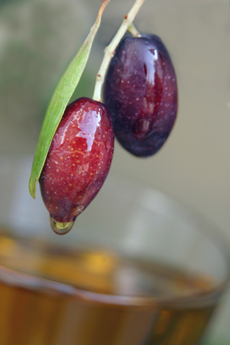 Younger olives tend to produce a fruitier, more pungent oil (often referred to as “early harvest”); more mature olives tend to yield a sweeter, less-strong oil (called “late harvest”). Some producers lament that Americans only want the blander, sweeter oils, but they nonetheless harvest their olives or blend their oils accordingly. Milling. Olives must be milled soon after harvesting (preferably within 12 to 24 hours) or fermentation will begin to occur, and fermentation can yield “off” flavors and worse, increase the acidity level of the oil to an unacceptable level. Storage. And then there’s the subject of storage. The enemies of olive oil are light, heat, oxygen, and time. Ideally, extra virgin olive oil should be stored in a cool, dark place. Because light can seriously diminish the quality of an olive oil, some producers bottle their product in green, cobalt blue, or even black bottles. These can be helpful in filtering out light, and they’re beautiful to look at, as well. Although olive oil is often compared to wine, unlike wine, it does not age especially well. How long can you keep it? That depends on the conditions under which it’s been stored; but in a perfect world, you wouldn’t keep olive oil longer than a year. Most sources stretch this time frame to at least 18 months, but I’ve also seen time estimates for keeping extra virgin olive oil that range to as long as two years. You’ll see “use by” dates on some bottles, but these are, alas, meaningless, as are the bottling dates you’ll see on other containers (most olive oil is allowed to settle and/or is stored after pressing but before bottling, but the time frame for settling/storage varies greatly). What you want is the harvest or pressing date, which very few producers put on their bottles. Over time, olive oil changes character in the bottle, progressing from more to less pungent. That’s not necessarily bad, but as the pungency declines, so does the antioxidant level. With so many olive oils crowding the shelves, how do you know which kind to use when? Much of this comes down to what you like in an olive oil, but a good guideline is to match the oil to the type of food. For instance, if you want an olive oil to drizzle over your favorite perfect fresh mozzarella, remember that a strong, peppery oil would overwhelm the subtle flavor of the cheese. On the other hand, that whole wheat pasta your best friend makes all the time for dinner, the one with dandelion greens and sun-dried tomatoes, would knock over the taste of a delicate oil; you need something that can stand up to the heartier tastes of such a dish. Another aspect of olive oils that people notice rapidly is price: some are very expensive. Why is that? And do you always get what you pay for? 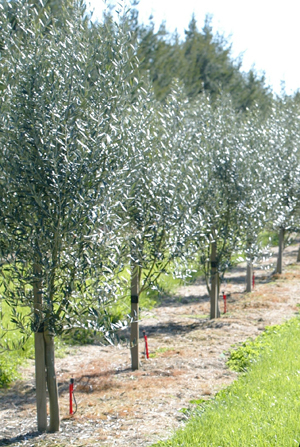 Paul Ferrari, of A.G. Ferrari, notes that making good-quality olive oil is a “labor-intensive, expensive, tedious process.” Olive trees will yield only about 3/4 of a liter of olive oil per tree; that’s roughly 3 cups, a very low yield indeed. Olives can be temperamental; caring for trees takes a lot of time and effort, to say nothing of the actual harvesting and pressing. The end result is that genuine extra virgin olive oil is going to be expensive in comparison to what people are used to paying for cooking oils. But having immersed myself in the subject of olive oil for a while, as it were, I don’t think the comparison is a fair one. Even if all health claims are totally disregarded, when was the last time corn oil or canola oil were noted for a range of flavors and aromas? Corn and canola oils are cheap to produce, with high yields; olive oil is the opposite. Is the highest-priced oil always going to be the best, then? No. The best olive oil is the one you like best, the one that works best for you and your preferred tastes and cooking methods. Finding that oil may take some time and effort, but it’s no different from finding that wine you can’t live without, or your very favorite chocolate bar. Look at both high and low points on the spectrum: you never know where you will find the one you love. I have found one olive oil (not reviewed here), made in very limited quantities in Italy and supposedly phenomenally high in antioxidants, that is only sent to American retail consumers in cartons of 10 bottles (although each bottle is small, only 100 ml or 3.4 ounces). With shipping, it costs 200 euros, or around $250 as of this writing. If you can afford that, go for it, but be aware that you can buy fabulous olive oils for far less money. Then again, if you see a gallon of extra virgin olive oil selling for $15, it may be genuine extra virgin, but it probably won’t have much in the way of flavor or health benefits; corners will almost certainly have been cut somewhere during harvest and production. Field Reichardt, of The Organic Olive Oil Company, notes that Americans are at the same point today with olive oils as they were with wine in the early 1970’s. That is, they know the large, less-expensive brands, but they’re just beginning to hear about good, distinctive products on the market. Many Americans today think nothing of paying more money for higher-quality wine; we’re seeing the beginning of an understanding that the same holds true for olive oils. So what should you pay? As with wine: are you comfortable with the $10 bottle, the $15, the $25 bottle? Wine, though, makes it easy to compare: all of the bottles are standard 750 ml. With olive oil there is no consistency of size, so pricing is deceptive unless you have a calculator mind. Between American bottlers using the English system and international bottlers on the metric system, plus small, medium and large sizes, you need a pad to calculate and keep notes. Our recommendation: if you like fine food, you’re used to paying a little more. Don’t worry about paying a few extra dollars here and there—it’s just the cost of an extra cappuccino. Try the oils within your price range of comfort—and perhaps put the pricey ones on your gift wish list. You never know about price. The current favorite at THE NIBBLE offices is an Australian picual extra virgin olive oil imported by Fairway, a group of specialty food markets in the metropolitan New York area. At $12.99 for a liter, or 33.8 ounces, its price per ounce is comparable to supermarket house brands. But its dimensions of exciting flavor taste like the finest boutique oil. It is one of the Fairway’s house brands: partner Steve Jenkins, who has a passion for great olive oils. has created a Fairway line of international extra virgin oils from ten different regions, with a complimentary olive oil tasting bar to introduce customers to the kinds of flavor and intensity differences you will read about in Part II of this article. If you’re in the neighborhood, stop by to taste them: it’s an eye-opening experience. 2109 Broadway between 74th and 75th Street in New York City, daily from 8 a.m. to 11 p.m.
What about cooking with extra virgin olive oil? Most people have been told to use a less costly, mass-produced oil for cooking and a pricier one for drizzling and finishing. The reasons generally given are that heat will destroy an oil’s characteristic aromas and tastes; and the higher acidity level of less expensive olive oil provides a higher smoke point. I have cooked with both types; both performed equally well, though there were slight variations in taste in the finished food, as there should have been. Given that olive oils don’t last forever, if you have a great olive oil in your house that’s been around for some months already, consider cooking with it. You’ll almost certainly enjoy the end result, and the oil won’t grow old and rancid on the shelf. Incidentally, The IOOC notes that extra virgin olive oil is well-suited for frying. If it isn’t overheated, it “undergoes no substantial structural change and keeps its nutritional value better than other oils,” due partly to the antioxidants it contains. In the way that some people have a few letters strung together after their name to indicate a title, some olive oils have letter codes indicative of region of growth and strictly-overseen production. These are not awarded lightly; as of February of this year, only 29 brands of Italian olive oils had been granted the D.O.P. code, which stands for Denominazione d’Origine Protetta, with a further 5 under evaluation. Some other countries in the European Union also use DOP now, including Portugal. The French equivalent is A.O.C., for Appellation d’Origine Controlée; the Spanish use D.O., for Denominación de Origen. Guarantee of well-defined geographic origin is a nice guard against the practice of rebottling a cheap imported olive oil and selling it as a product of a region noted for “the good stuff,” but not all producers of regionally-authentic olive oils apply for these designations. Some don’t want to spend the money, while others may not think it worthwhile for their business (apparently, the designations mean far more in some areas of the world than they do in others). How about organic olive oil? Well, fine, open a whole other can of worms! This is a confusing subject, as well. There are some olive oils that carry the USDA green-and-white organic seal on their labels. But there are many other oils for which organic farming or production is implied, from which this seal is curiously absent. Are their producers lying, then? Probably not. Many producers already farm using organic methods; in some cases, their families have been doing so for hundreds of years, long before synthetic pesticides, fertilizers, etc., came on the scene. But obtaining USDA certification for your olive oil, which would allow the green-and-white USDA seal on your label, isn’t cheap and can take a significant amount of time. Some smaller producers can’t afford either investment. Further, if a good portion of your consumer base lies outside the United States, as is the case with a number of these producers, having the USDA organic seal on your label might not be of paramount importance to you. Olive oils produced in the U.S. can only display the green-and-white USDA organic seal if they’ve been certified organic by a USDA-approved agency. There are internationally-produced olive oils in this article that claim to be products of organic farming or organically grown and/or are certified organic by agencies in their own countries. Phrases to watch for in non-USDA certified oils are the Italian “Da Agricoltura Biologica,” the Spanish “Agricultura Ecologica,” and the Portuguese “Produto De Agricultura Biologica,” all used by producers of their various countries to describe organic farming and/or organic production of their oil. And because you need more complexity in your life, one oil, the Portuguese CARM, is said to be certified organic according to USDA standards, by a USDA-approved agency, but you will not find the typical green-and-white seal anywhere on it’s label. If you’d like more information on olive oil and its production and are looking for recipes, I can suggest Deborah Krasner’s The Flavors of Olive Oil: A Tasting Guide and Cookbook, as well as Zingerman’s Guide to Good Eating, by Ari Weinzweig. Both are good general sources of information, although a few of their facts may now be outdated. The Flavors of Olive Oil, by Deborah Krasner is a comprehensive guide to tasting, understanding, and cooking with superior extra-virgin olive oil. It profiles of the best oils from top producing countries including Italy, France, Spain, and the U.S., plus pointers on how to read labels. Click here for more information. 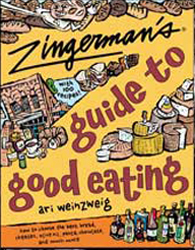 Zingerman's Guide to Good Eating by Ari Weinzweig, which covers favorites from coffee to chocolate, includes a section devoted to olive oil. It discusses production, brand information, and what to look for when you buy. Click here for more information. perfect gift for a foodie’s library. Deciding What To Taste. Given the legions of brands out there, how did I decide which oils to taste? I contacted a large number of organizations and people to explain what I was doing. If anyone was nice enough to send me a sample of their extra virgin olive oil, I tried it. In a handful of instances, I bought olive oils myself when I thought a producing region was greatly under-represented by the number of oils I’d received from it. I have no sensory training in olive oil as the experts do; but I was able to detect differences between the oils I tasted—and you, too, will be able to easily see the differences if you hold an olive oil tasting party. Click here for our article on tasting olive oil, including a chart of tasting terms. I wish you had a chance to speak to some of the same people I’ve been fortunate enough to talk to while researching and writing this piece. The overwhelming majority were amazingly nice and helpful. Even more importantly, they were passionate about olive oil. Their level of dedication and commitment to producing a superior product and bringing it to the consumers’ table was exceptionally gratifying. As I’ve discovered over the past couple of months, there are some remarkable olive oils produced all over the world. I hope you’ll try a few of them. Click here for Part II: Stephanie Zonis Hunkers Down With More Than 90 Bottles of Olive Oil. Acknowledgements: I have a list of people to thank that is as long as my arm, but I’ll try to keep it brief here. It would have been impossible to write this article without the help of these individuals. To all the producers, distributors, and importers who returned my e-mails, spoke with me, and sent me samples of their product(s), a huge “thank you.” Other especially helpful people were Esther Psarakis of Taste of Crete; Gabrielle Taylor; Bruce Golino; Ari Weinzweig of Zingerman’s; the International Olive Oil Council; Patty Darragh of the California Olive Oil Council; Katherine Fuller of the French Trade Office; Chuck L’Heureux of the Australian Olive Association; Jeffrey Shaw and Aisha Earle-Smith of Foods from Spain; Jean Gilbert of New Zealand Trade and Enterprise; Alejandro Poffo of the Consulate General of Argentina in New York City; Hanna Kamionski of the Israeli Economic Mission; Alberto Almeida of the Portuguese Trade Commission; Jim Henry of the Texas Olive Oil Council; Joanne Gocel of Oliviers & Company; Beth Goslin of the Australian Trade Commission; and Juliet Cruz of the Italian Trade Commission. Lifestyle Direct, Inc. All rights reserved. Images are the copyright of their individual owners.